What follows may look like a business book review of Mike Michalowicz’s Profit First, but if you stay with me until the end, you’ll see that while the ideas I talk about below can certainly have a major impact on your business (if you own one), they can be just as impactful on your personal financial situation, especially with helping you reach your financial goals via investing faster. If you own a business, you’ve probably read the classic business books E-myth, Good to Great, and The 7 Habits. Many of these classics have, for good reason, spawned consulting empires and turned their authors into celebrities. They have truly changed the way we think about business. To this list of must-reads, I’d like to add Mike Michalowicz’s Profit First. 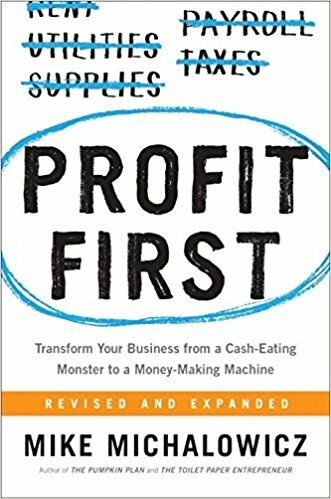 Profit First is different from most of the books I’ve mentioned in that it focuses more narrowly on money and cashflow and how that’s affected by business owner psychology. Some people even think of it as a financial gimmick because of the way it “tricks” you into making different, probably better, decisions about business operations and, of course, profit. I’ll explain down below why I think Profit First is a great resource for business owners, but what I really want to get across to you is kind of a twist on the book’s basic but powerful insight into money and psychology that applies directly to investors, i.e. to YOU! What I hope you’ll take away from this idea is that with a few simple ‘hacks’ in the way you manage money, you can set yourself up for even greater success as an investor. First, can we agree that PROFIT is one of, if not THE, goal of being in business? Without profit, a business won’t survive. Forget all those stories you’ve heard about Amazon bleeding money for years and years while it grew its user base or about Twitter having lost money since it launched… Those examples are the exceptions that prove the rule. Agreed? Then let’s start with the basic but brilliant insight into the FUNDAMENTAL PROBLEM with about how most business owners think about profitability. Consider that switch for a second. The math behind the equation matches up to the traditional version, but the thinking in completely different because it puts PROFIT first. It makes profit primary. I suppose it’s a business version of the adage to ‘pay yourself first,’ but I can tell you as a business owner that it’s oddly counter-intuitive to think this way because of the psychological tendency to do ‘Bank Balance Accounting’ (make spending decisions based on cash on hand) and constantly re-invest “profit” into growth. What happens is simply that as profit increases, so does our bank balance, and that results in an increase in spending, usually on growth. My point here is that for most business owners, expenses (for overhead and especially growth) ALWAYS seem to equal or exceed the amount of cash available. Guess how much profit that leaves us with? The simple but effective way to sidestep the tendency to re-invest most or all your profit in growth in Michalowicz’s system is to pull out a set percentage of ALL revenue twice a month into dedicated accounts for Profit, Taxes, Owner’s Pay, and Operating Expenses. After the cash is transferred, you DON”T TOUCH the first three and only pay expenses from the Operating Account. The system works because now when we look at our bank balance and make decisions about spending, we’re looking at the operating account that has been “swept” of cash we’ve tucked away for profit, taxes, and owner pay. This is just like payroll-deducted 401k-based investing, which works because we never see the money. It’s like it wasn’t really there. And magically, our 401k account balance grows quarter after quarter (assuming the market doesn’t misbehave and ‘steal’ our contributions… but that’s another article…). As I’ve said before, the basic keys to building wealth and achieving financial independence are having goals, being strategic/purposeful in your investing decisions, and having discipline. The Profit First approach is great for investors because it puts the focus on goals and tilts the impact of discipline in your favor. I can’t say enough about the value of having goals. Goals serve as your North Star that guides you to success and help you stay on course. One of my first goals was to own 100 houses, and even though I decided later to change that goal to owning 100 notes, just having the goal kept me on track to accumulate first one property after another and then one note after another at a slow and steady pace. The way the Profit First approach helps with goal setting is through “Target Allocation Percentages (TAPs),” i.e. how much of your topline income goes to the various buckets that you set up that get funded before lifestyle and other expenses. From a personal finance perspective, and ignoring for this example important factors like the impact of taxation, what if your TAP was to allocate 32% of your active income toward investing to create passive income, and you decide that you will reach your goal in 24 months? What you might do, then, is to allocate 4% this quarter to your ‘passive income investing’ bucket, and then increase that percentage 4% quarter-by-quarter until, eight quarters later, you’re at 32%. Ideally, you’ll want to reward yourself along the way for hitting your quarterly goals, but the main idea here is that your TAP goal keeps you focused and gives you a yardstick to measure progress. First, there are an infinite number of temptations out in the marketplace, and advertisers have their eyes locked on you, the high-income consumer. You know that feeling of watching a commercial for a luxury car or reading about some Caribbean resort and starting to feel a little twitchy? I would never accuse you of being an impulse buyer, but tell me: are you more or less likely to spring for that new Range Rover if you’ve got $80K just sitting in your checking account – or – if you’ve got $10K in checking and $70K tucked away in your “Passive Income Investing” account? And by the way, you don’t even see the Investing Account when you login to online banking because the investing bucket is sitting in a bank where you have to walk in the branch to make a withdrawal. Yes, that’s another Profit First tip. The idea here is that if you sweep cash from your operating account and allocate it off the top, then you’re free to spend what’s left. Meanwhile, your goal-based buckets for investing – or for taxes, college funds, or vacations – are growing steadily and stealthily, safely out of sight until you deploy them deliberately and purposefully. Profit First in your Business. Invest First for Yourself. So as I said at the very beginning of this quasi-book review, the real power of this approach may be turning the Profit First approach into Invest First. 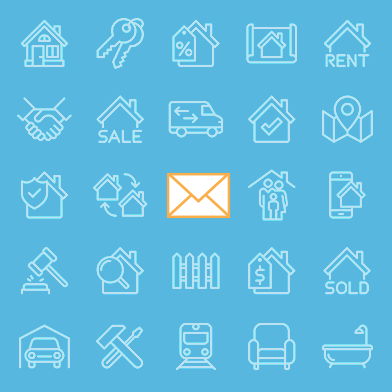 Many people invest with what’s left after they fund lifestyle and pay the bills. So, I ask you, are you willing to become a Profit First business owner and an Invest First individual? Tony Robbins is best known for personal development, but his recent book MONEY Master the Game gives a solid explanation of the “game” of investing, including the principle of PYF – pay yourself first!